Sunday isn’t a must-win for the Eagles, but it feels like it. Ezekiel Elliott is out until Week 16. Yikes. Nov. 16, 2017, 12:00 p.m. When the Eagles schedule came out this season, there were two games fans looked at first: When do we go to Dallas, and when does Dallas come here? The first of two meetings with the Cowboys is this Sunday night in primetime, and for the 8-1 Eagles, it couldn’t come at a better time. Dallas is a mess right now. Ezekiel Elliot finally served the first of his six-game suspension last week — a 27-7 loss to the Falcons — and announced Wednesday he’s dropping his appeal for good, which means the Cowboys will be without their best offensive weapons until Week 16 against Seattle. Elliott should be in the lineup for the season finale in Philly, but he’s definitely not going to be there this week, when the Birds invade Jerry’s World. And Elliott being out may not be the biggest issue for Dallas. Tyron Smith, the Cowboys’ starting left tackle and arguably their best offensive lineman, missed last Sunday’s game and hasn’t practiced yet this week. Sean Lee, the heart and soul of the defense, is hurt again, and could miss several games, what with the Cowboys on a short week leading into their customary home game on Thanksgiving. That puts the Cowboys in an “all hands on deck” situation at linebacker and with the Eagles rested after a bye week and giving tight end Zach Ertz time to heal and running back Jay Ajayi another week in Doug Pederson’s system, Dallas is going to need all the hands it can get. Oh, and speaking of hands, Dez Bryant sat out practice Wednesday as well, though it’s hard to believe he won’t play in a game this big for Dallas. That said, Ronald Darby should be back to bolster the Eagles’ secondary. Dallas is a mess. That sideline spat between Orlando Scandrick and Jason Garrett (above) ended up being much ado about nothing, but it speaks to the mindset in Big D right now. While the Eagles have been all smiles and hugs on their sideline the last six weeks, the 5-4 Cowboys have been screaming for answers. If the Eagles need any more motivation than usual going into Dallas on Sunday Night Football, they should remember what happened last year. Pederson’s team was flying high at 4-2 after beating Sam Bradford and the previously undefeated Minnesota Vikings. The Eagles went into Dallas on Sunday night and held a 10-point lead in the fourth quarter, only to squander the game down the stretch, eventually losing in overtime. The final four drives of regulation for the Eagles went: fumble, punt, punt, punt. In overtime Dak Prescott and Elliott took over, not even giving the Eagles a chance to touch the ball. This week, Pederson was asked about how he can use last year’s loss at Dallas as motivation, and what he learned about how that game finished. Asked if he looks at that game as one that got away — that loss began a skid in which the team won just once in eight games — Pederson was candid with his team’s performance. One of the biggest rivalries in the NFL (at least for Eagles fans), Philly and Dallas have played 116 times since 1960, with the Birds playing 60 times on the road. The Eagles have won just 23 of those games, losing the other 37. The two have never tied. While the extended history against Dallas isn’t great, recent history has been pretty darn good for Philly. Since the Cowboys moved to Jerry’s World — the nickname given to AT&T Stadium since Cowboys owner Jerry Jones opened the venue in 2009 — the Eagles are 5-4 in Dallas. Well...technically Arlington. Throwing snowballs at the Vet. Bounty Bowl. Bounty Bowl II. Cheering when Michael Irvin got hurt. We’ve run the gamut on Philly-Dallas hate between these two franchises. That’s because the rivalry goes back a long, long way. The Eagles have played 85 seasons in the NFL, more than 1,200 games in total, but they’ve faced only four franchises 100 or more times: the New York Giants, Washington, Arizona and Dallas. Historically, the Eagles have a losing record against all four, but they have the worst record against the Cowboys, heading into Sunday night’s contest at 50 wins to 62 losses in the regular season and 1-3 in the playoffs. While Pederson has faced the Cowboys just twice, Garrett has seen the Eagles on the opposing sideline 14 times in his coaching tenure. He is 7-7. The teams split their two games last season, with each team winning the season finale. Sure, the Eagles got some kind of retribution at home after the debacle on the road, but Dallas didn’t play any of its stars in the finale last year, resting them for the playoffs and gifting the Eagles a win to get Pederson’s record to 7-9. 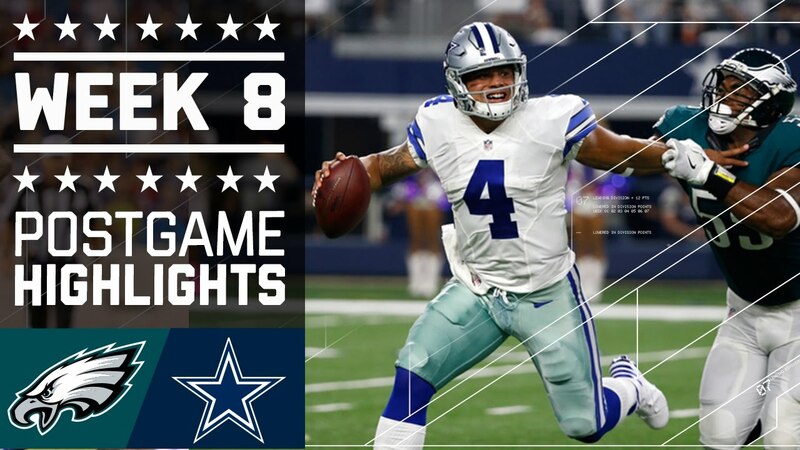 Dallas had already locked up a first-round bye, and a rivalry game on the road that meant nothing to his team wasn’t the time to put his regulars in and risk injury. 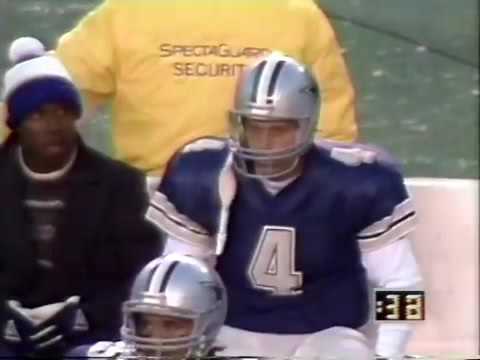 Having said that, the two-weeks off may have hurt some of the Cowboys, as Green Bay went into Dallas and won in the Divisional playoff round, knocking the top seed off without a postseason win last year. More importantly here, however, is that the win over Dallas might have saved Pederson’s job. That’s not to say Jeffrey Lurie would have fired another coach that quickly — he jettisoned Chip Kelly after just one losing season in his three in Philly and was in need of stability — but the Eagles were 5-9 and staring down a 5-11 season before wins to close out the year against the Giants and Cowboys. It’s not unreasonable to suggest division wins over two rivals may have been the lifeline for Pederson with the Eagles. At the very least, it gave the team a ton of momentum heading into the off-season. An Eagles win would put them at 9-1 and keep them ahead of the Saints and the Rams-Vikings winner for a potential first round bye and home field in the NFC playoffs. The Eagles would be two games up in the loss column over the Rams-Vikings loser as well as potentially the Seahawks and Panthers with six games to play. A Dallas loss would put them at 5-5 heading into Thanksgiving, and while they do have three or four winnable games after the Eagles, the loss would take them out of the division race, barring a total Philly collapse. At 5-5, the Cowboys would be sitting in 10th, at best, in the NFC. Only six teams make the playoffs. As much as this might be hard to take with it being Dallas, an Eagles loss wouldn’t be the end of the world. At worst they’d be tied for first in the NFC with the Rams-Vikings winner and maybe the Saints. It wouldn’t be great in terms of locking up home field, but the Eagles should still win the division with such a big lead at this point in the year. For Dallas, though, a win could save their season and that’s reason enough for Philly to consider this a must-win as well.